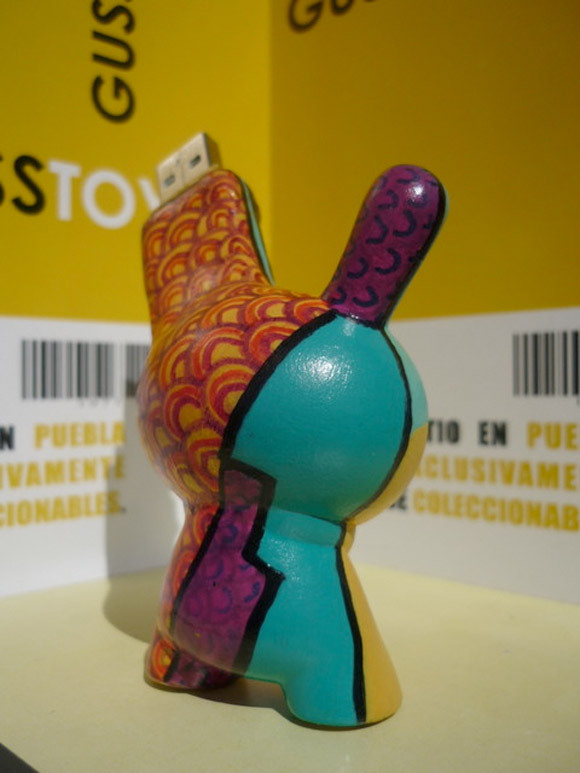 Check out this creative cross of art and technology with GUSSTOYS custom 3-inch Dunny flash drive. 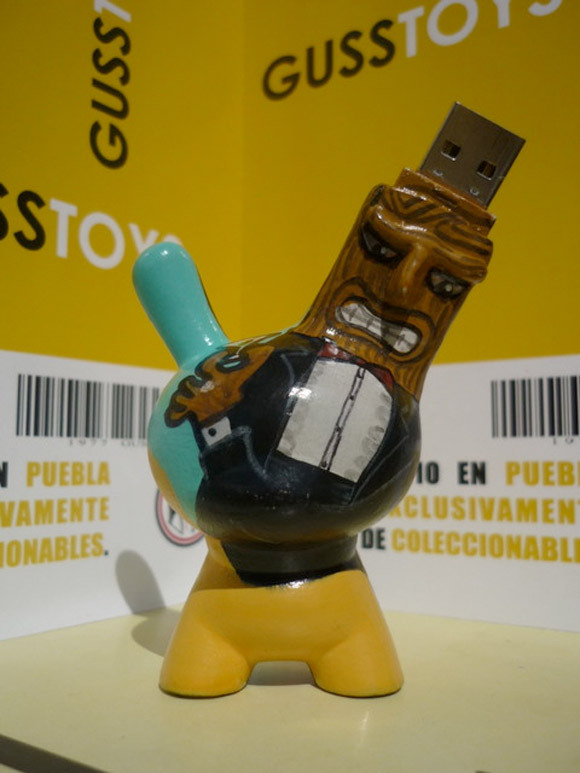 This modified Dunny is created using acrylics, markers and clay sculpted around the USB drive to look like a Tiki head. 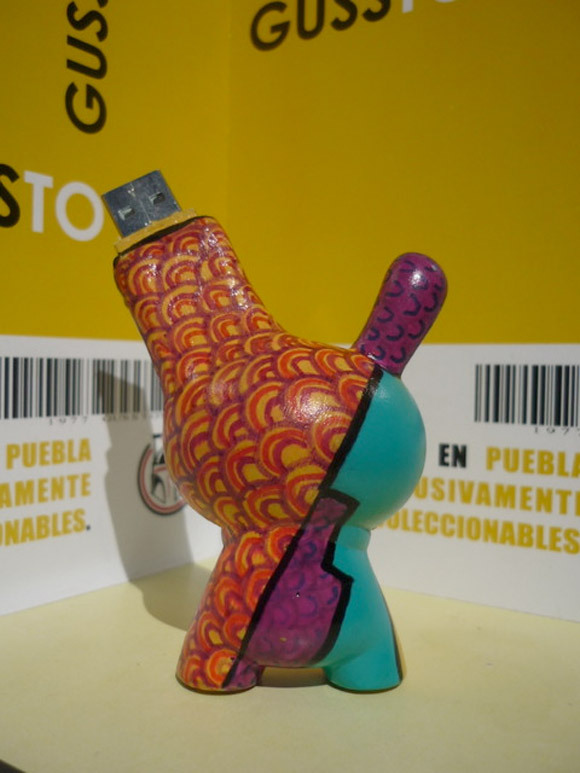 You gotta love functional art!